It seems as though Marvel and DC had a bad month in August, seeing big sales drops which subsequently led some people to wonder if $4 is too much to expect people to pay for a 22-page comic. I don’t really have a position on that, as I don’t buy that many pamphlet comics and I flunked the one economics course I took in college. But I did feel like mentioning that there’s a Marvel comic I’m enjoying a lot. 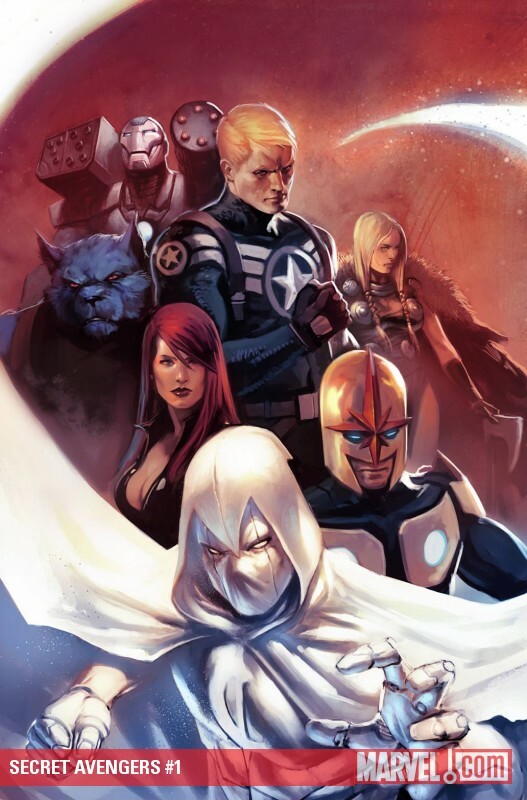 It’s Secret Avengers, written by Ed Brubaker and illustrated by Mike Deodato. 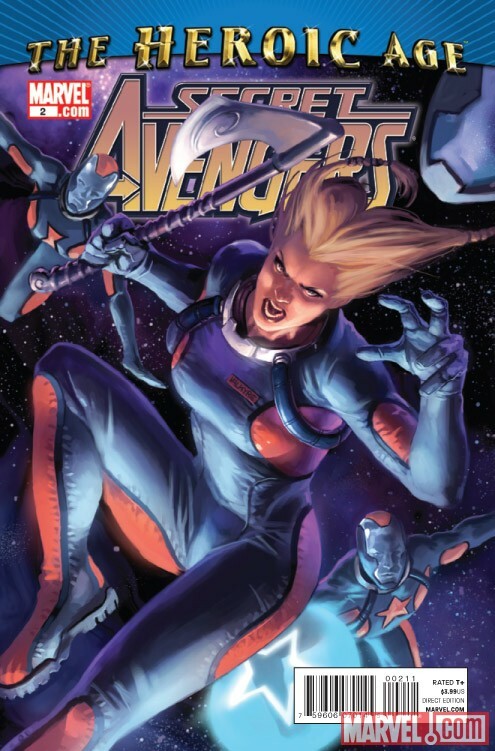 I’m an Avengers fan from way back, and while I haven’t read any of their titles or crossover events with any regularity since Brian Bendis took over, I do like to check in from time to time when some new phase starts to see if any of them click with me. Avengers and New Avengers, both written by Bendis, didn’t click with me. New Avengers looks great, but it’s packed with pet Bendis characters and the kind of dialogue that I find grating after a while. Avengers looks horrible to me, and the cast is more thematically assembled than emotionally functional, if that makes any sense. Secret Avengers has a few interesting things going for it beyond the fact that it isn’t being written by Bendis. It’s one of those “proactive super-team” concepts where a group of heroes tries to prevent problems rather than just reacting to them. This has never, ever worked to my knowledge, whether we’re talking about Extreme Justice or Force Works or what have you. But it actually works reasonably well here, at least in the first arc. I think it works because the characters seem like competent grown-ups. 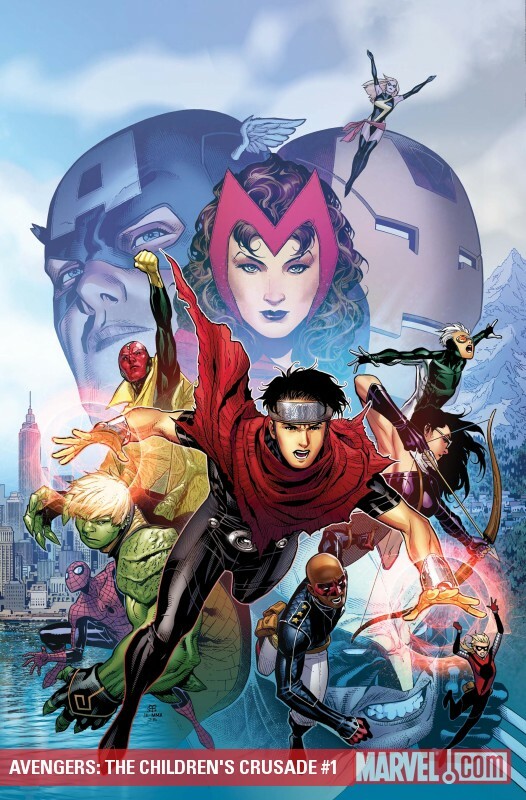 They don’t have the kind of interpersonal chemistry that a lot of great Avengers groupings have had in the past, but they work well together, and Brubaker has collected an interesting mix of abilities, backgrounds and character types. That’s always a good choice, but it’s an even better one when there’s an actual narrative point to it. Steve Rogers, formerly dead Captain America who is apparently neither dead nor Captain America now, recruited people based on what they can do and what they know, and that makes sense to me. This is also one of the more… well, only… interesting portrayals of Steve Rogers that I’ve ever seen. In the past, he’s been the ridiculously perfect icon that everyone tries to please. In Secret Avengers, he seems like an actual leader rather than an object of idolatry. The way Brubaker writes him, he strikes that confident position that suggests, truthfully or not, that consensus has already been achieved, that the people he leads are all on the same page, and that he trusts them to contribute to the best of their abilities. He’s the kind of figure you can see people wanting to follow. I also like the cast, which is filled with interesting second stringers like the Beast, War Machine, and Valkyrie. Some of them have no previous connection to the Avengers, but all of them bring something interesting to the table, and none of them seem like a ridiculous, meta-driven choice. I’m particularly pleased to see Valkyrie, as she gets to be the demigod muscle. That role usually goes to a guy, and it’s great fun to see a woman in the bruiser role, and to see it not being presented as any kind of big deal. Deodato’s art is more on the competent side than anything else. It’s attractive enough, and I always understood what was going on, but his body types are disappointingly similar. It’s not just that gymnast Black Widow and warrior Valkyrie have basically the same physiology; almost all of the men look like they could swap heads without difficulty as well. It’s not offensive, just kind of dull. But overall, if you’re craving an Avengers comic where the characters seem functional and heroic, Secret Avengers might be a good choice. You are currently browsing the The Manga Curmudgeon blog archives for the day Thursday, September 16th, 2010.